Fractional Interest Info | America's Trains Inc. 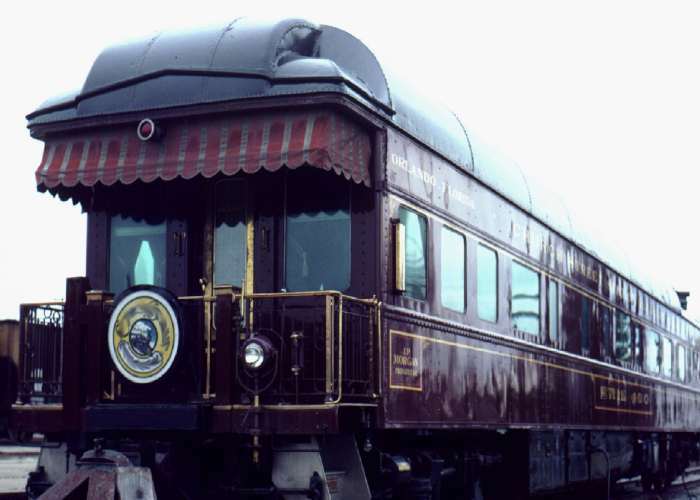 The exclusive comforts and economic advantages available from fractional (shared) ownership of aircraft, yachts and wonderful vacation homes are now available for luxurious private railroad ‘Cars’ traveling throughout the USA and into Canada. A 1/12th (4 weeks), 1/8th (6 weeks) or 1/6th (8 weeks) ownership is for 10 years or perpetual. Just request preferred services, select en-route destinations and layover activities, and board your Car; everything else is taken care of by a business manager. Private Cars travel as part of Amtrak and regional railroads, with a scheduled Train Set, or not, on preferred itineraries chosen by Fractional Interest Owners. Cars have two or three bedrooms, some included additional sleeping capacity, for from four to eight passengers. Exquisite Journey vacations excel for exclusive family vacations, small group gatherings, private parties, and elite one of akind travel experiences. All-inclusive Journeys include fine dining, all kinds of pre determined beverages, preferred activities, and optimum guest care by an attentive crew. Private Car Journeys by Rail can be traded for Journeys during different available time periods, and for vacations at the world’s finest resorts through the largest timeshare exchange company. Owner Journey Use Fees pay Car management and operating costs. These Fees don’t have to be paid if an Owner doesn’t want to use a Journey. Considering the elite, unique attributes of exclusive private cars, the per person per day cost for Fractional Interest Owners is low compared to fares for individual (single) Journeys, Train’Share owner Journeys and comparable luxury resort vacations. Unexpected Fee increases are paid by the Developer. Fractional Interest Owners can sell their Fractional Interest back to the Developer for valuable considerations equal to the purchase price.